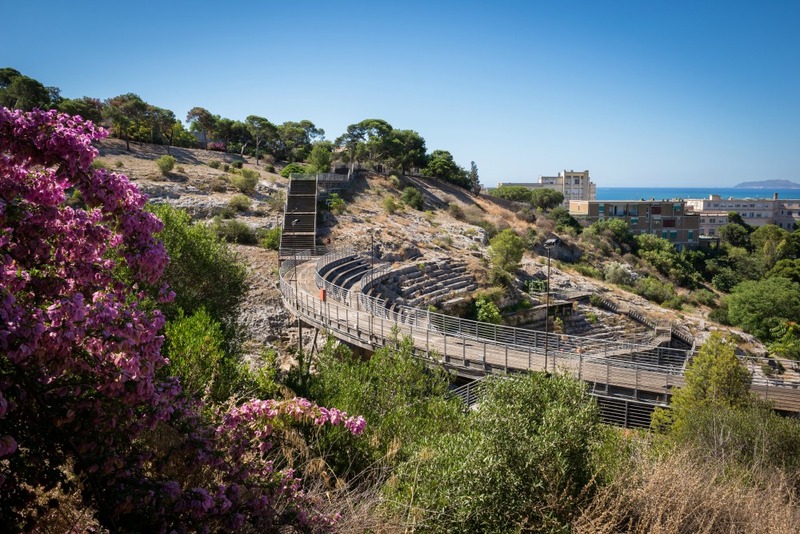 Mentioned in 19th century letters and studies, the Roman amphitheatre in Cagliari was rediscovered during the Romantic period, with its passion for the ruins of ancient civilisations.The first excavations by canon Giovanni Spano (1866-68) were followed by archaeologist Doro Levi's digs (1937-38) and the restoration of the majestic building. During the first imperial age, neighbourhoods and public buildings were built in Carales, followed by the amphitheatre from the late 1st and early 2nd centuries AD, set in the southern foothills of the Buoncammino hill. It originally occupied more than a thousand square metres, with a 120 metre perimeter and a 20 metre high facade decorated with columns and statues. 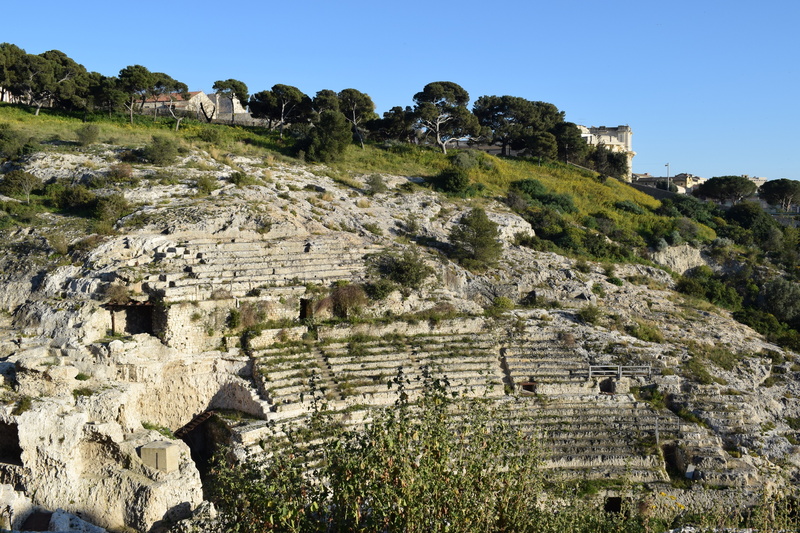 Part of the stands (cavea), the arena, corridors and other areas were carved from the rock, while the rest was built using white limestone blocks. 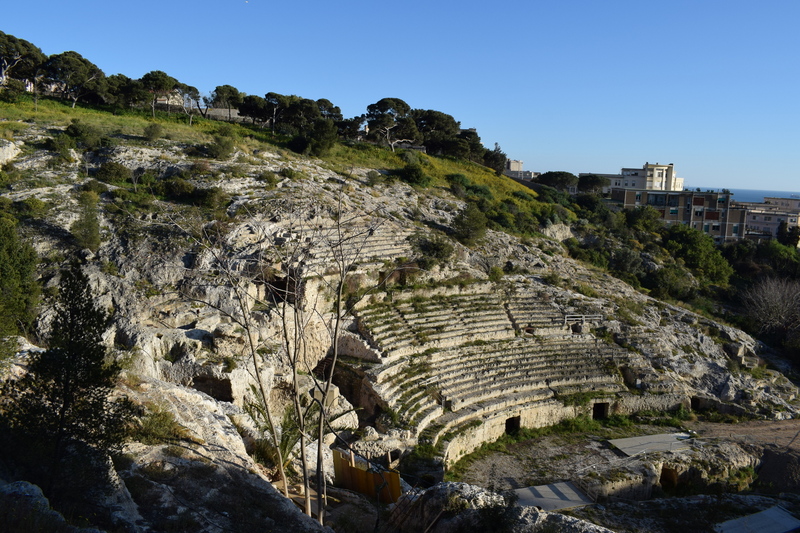 Today you can admire part of the cavea and underneath, the gladiators' rooms, the cells for the animals and the infirmary. These were the times of the games. The stands, on three levels, could hold ten thousand spectators of all social classes, who could watch fights between men and beasts imported from Africa in the morning, executions at lunchtime, and in the evening, after the banquets, the most popular event of all: fights between gladiators recruited from the island and elsewhere, who underwent arduous training in what is now the Orto deiCappuccini. Imagine the stands full and the illustrious decuriones sitting on the podium with its marble paving, sheltered from the sun by the velarium. The amphitheatre was also used to collect rainwater: the funnel-shaped cavea allowed the water to flow into a well. With the arrival of Christianity, the gladiator fights lost popularity until they were banned by law in 438 AD. 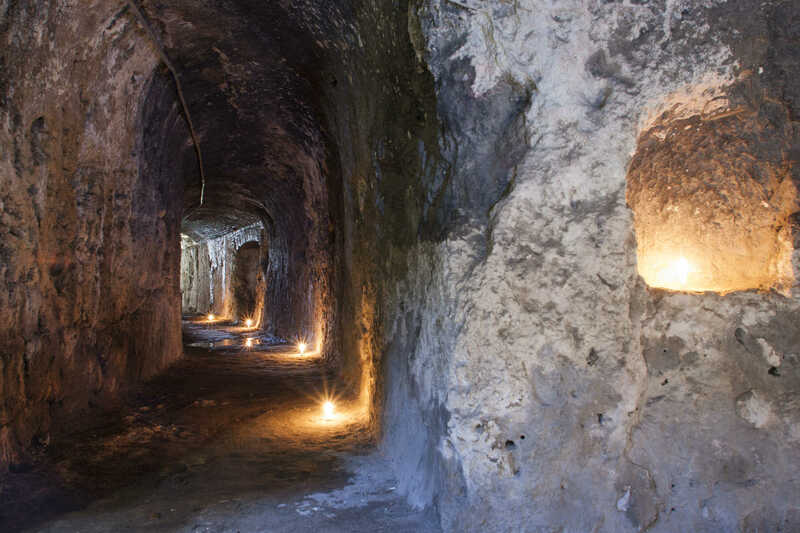 The building was then used as a quarry. 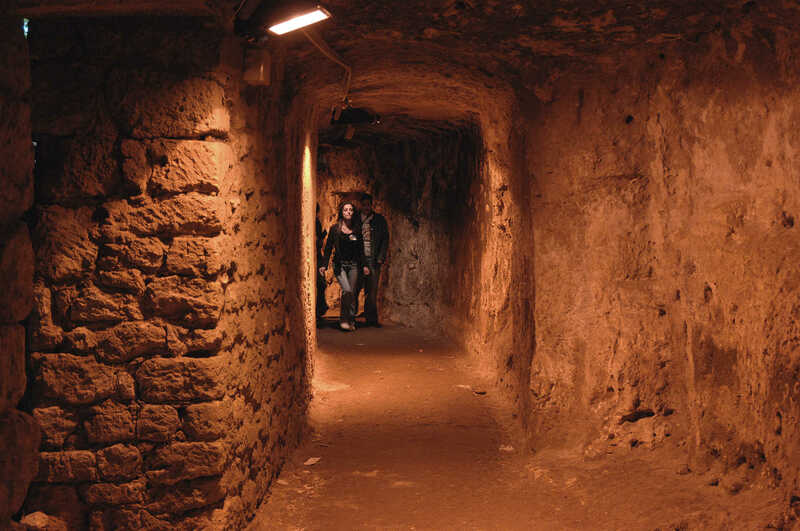 The site continued to be despoiled until the 19th century. Today it is partly covered by a structure in iron and wood that was used to host shows and concerts from 2000 to 2011, before the long and difficult process of restoring it as an archaeological site began. In your tour of Roman Cagliari, in addition to the amphitheatre you'll also find private homes such as the Villa di Tigellio. Nearby, don't miss the Botanic Gardens, a green oasis in the heart of the city, or the Roman remains preserved in the CitadelladeiMusei, Sardinia's largest and most complete museum complex.